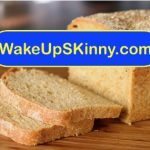 Yes in our medical weight loss program you can eat bread and lose 2 to 5 pounds a week! In our weight loss program you can eat almost everything and still lose weight. For most of our weight loss patients eating everything in moderation is perfectly fine and they lose lots of weight. In fact most of our patients tell us that they eat more food now that they are doing our weight loss program than they ever did; and that now they’re finally losing pounds and inches. Of course when you come into our office the doctor will review with you the proper diet that you should be following. And we give you lots of great tasting recipes here at our website. We have recipes for cakes, pastries, smoothies, appetizers, main course dinner entrées, dessert and even snacks that will all help you lose weight. So in our program not only do you get the best appetite suppressant medications available but you also get a totally inclusive program where we tell you exactly what you should be eating. Here are 3 more great recipes to add to your cookbooks. Okay, I know that if you are one of our weightless patients you are saying not a another cheesecake recipe from Dr. Kenny but the truth is that I absolutely love cheesecake. So here is another cheesecake recipe. We are going start by preheating are our oven to 350°F and then we are going to whip the cream cheese until it’s fluffy, for about 4 minutes. Next we will combine the Stevia, sour cream and vanilla extract and mix this for about 4 minutes. Next we will add the eggs one at a time mixing until everything is creamy for about a minute or so after each egg. After this we grease a 9 inch springform pan and put the springform on a baking sheet and then pour the filling into it. We are going to bake this for approximately 50 – 55 minutes, plus or minus a few minutes until it’s lightly brown around the edges and fluffy. When it’s done you definitely want to let it cool down for a bit. I usually like to let it cool for approximately 2 hours. This makes about 10 servings. I have tried eating it after only letting it cool for about 30 minutes but believe me it tastes much better if you let it cool for 2 hours. When my wife makes this for me she will usually make 2 at a time. Because I will always start eating one as quickly as possible and she lets the other one cool overnight. And it does taste much better the next day. Mix the Stevia and yogurt together and pour this into a freezer safe dish. We are then going to put the blueberries over top of the yogurt and stevia mixture and then place it in the freezer and let it freeze until the yogurt is nice and solid. This may take anywhere from 2 – 3 hours. After its solid take it out of the freezer and let it just sit for about 10 minutes and finally break it into pieces. You can enjoy this immediately or you could put in freezer bags and save it for later. Preheat our oven to 350°F and line 8 x 8 or baking dish with parchment paper. Then mix everything together until it’s totally combined. Pour this into the 8 x 8 pan and flatten it. Next we bake this for approximately 10 – 15 minutes and let it cool for a bit and then refrigerate for at least one hour. Then all you have to do is cut it into bars and enjoy. You can also keep whatever you have left over in the refrigerator so that it stays fresh. This entry was posted in Diet Doctors in Bucks County, Diet Doctors in Philadelphia, Medical Weight Loss, Medical Weight Loss Philadelphia, Weight Loss, weight loss philadelphia and tagged 39.9500° N 75.1667° W, diet pills Philadelphia, doctors prescribe phentermine Philadelphia, medical weight loss bucks county pa, medical weight loss doctors Philadelphia, Medical Weight Loss Philadelphia, phentermine in Philadelphia, philadelphia diet doctors, philadelphia weight loss doctors, vitamin B12 injections Philadelphia, weight loss philadelphia, weight loss pills philadelphia, weight loss programs Philadelphia on February 4, 2016 by Dr. Michael Kenny.